Bugatti looks back on a successful year and forward to the anniversary in 2019. J. Bugatti just entered a historic year. In 2019, the company from Molsheim in the French region of Alsace will be 110 years old. At the same time Bugatti President Stephan Winkelmann looks back at his first year at the head of the French hyper car manufacturer. This is the time to glimpse into the rear view mirrors, and then to look straight ahead. In 2018, the French luxury brand heightened the focus of its portfolio with the Chiron Sport and the Divo. This super sports car with its own character is also powered by Bugatti’s 1,500 PS eight-litre W16 engine. Compared with the Chiron, the developers tuned the Divo for greater agility, nimbleness and optimum handling performance on winding roads without sacrificing the usual levels of comfort and luxury. Fine-tuning was carried out especially on the aerodynamic properties, the chassis settings and weight of the car. As a result, the Divo generates 90 kilograms more downforce and weighs 35 kilograms less than the Chiron. The lateral acceleration of the Divo has been boosted to 1.6 g.ranted. In 2019, Bugatti is celebrating its 110th anniversary, which makes the company the oldest super sports car brand still in existence. 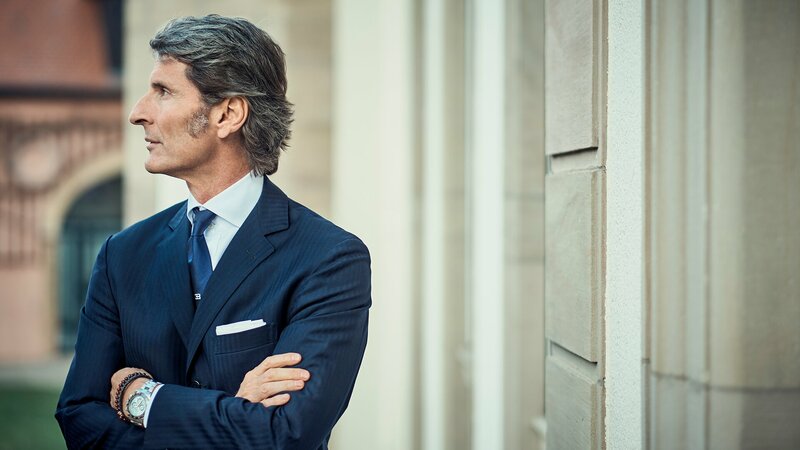 For the anniversary, Stephan Winkelmann and his team have prepared a few surprises, including a grand tour of places where Ettore Bugatti was active and the presentation of further models. Although speculation is rife and the time appears to be appropriate, “there will be no SUV from Bugatti”, says Stephan Winkelmann. 2 Fuel consumption, this model is not subject to Directive 1999/94/EC, as type approval has not yet been g.
Stephan Winkelmann, President of Bugatti Automobiles S.A.S.